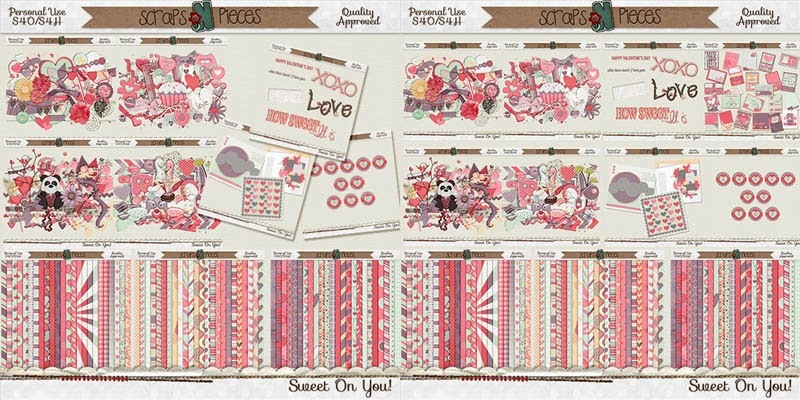 This entry was posted in Scraps N Pieces on February 17, 2014 by christiedawn. Super Saturday, A FB Hop, A Sale, + A Blog Train!! It’s Super Saturday time at SNP!! I have these things in the bin for you! These Kits Just $2 Each Saturday, Feb 15th! Quick Page Sets just $1 each!! Did you know that the Designers at SNP are also doing a Facebook hop this month? 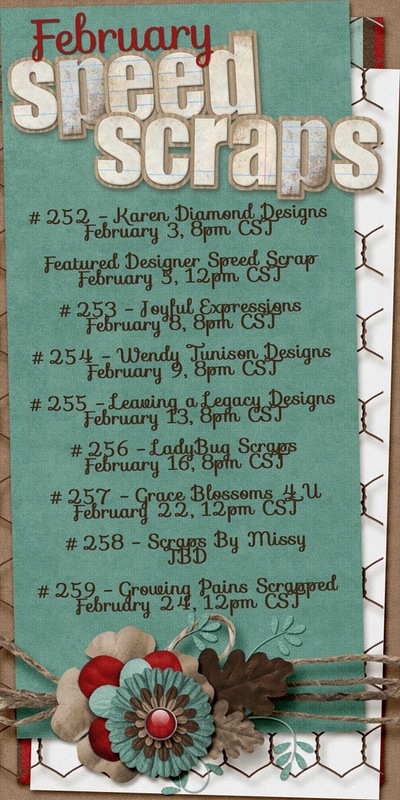 Join the Scraps N Pieces designers for a CU Facebook hop starting on Valentine’s Day and going through the end of the month. You will be able to grab all kinds of fun items geared towards Project 52/365. Head to the store blog for the starting point or if you get lost. Enjoy! 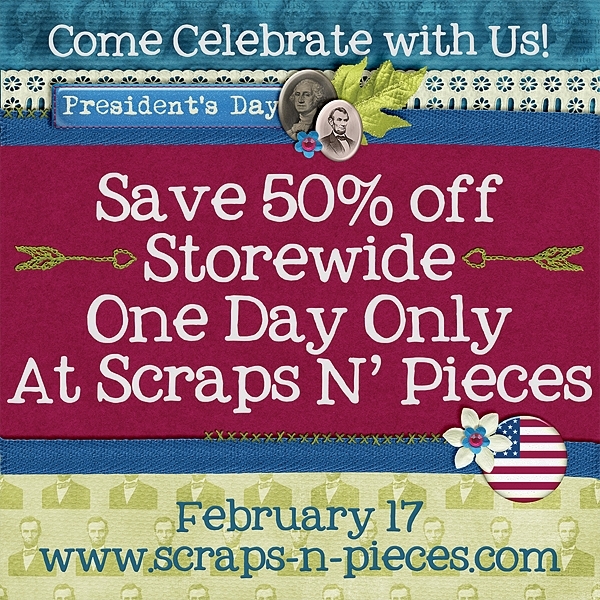 Scraps-N-Pieces will also be having a BIG Presidents Day Sale on Monday!! Be sure to pick up your favorites including store collabs and CU grab bags that will all be 1/2 off for one day only. It’s also SNP Blog Train time too! And here’s my part of the train (just click the preview below to download it)! This entry was posted in Blog Trains, Freebies, Scraps N Pieces, Super Saturday on February 14, 2014 by christiedawn. Feels like there’s a little love in the air…must be February. 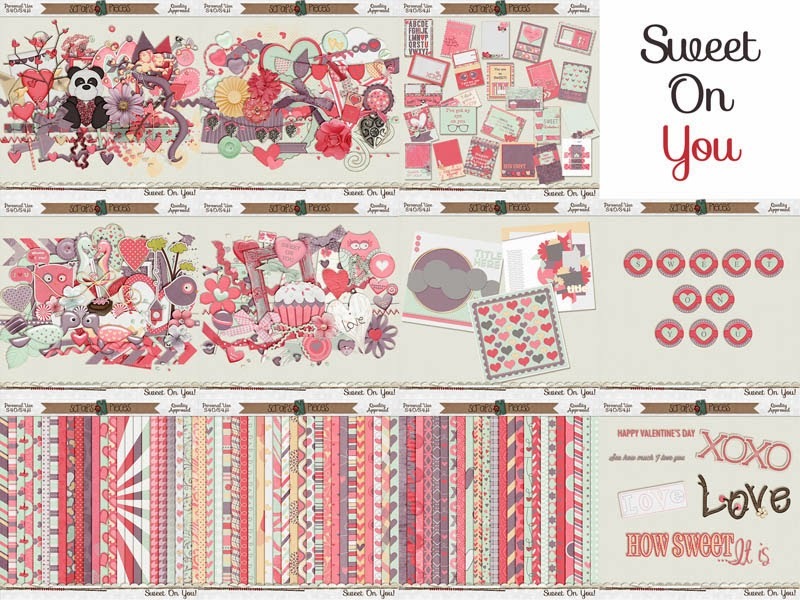 The designers at Scraps N’ Pieces LOVE their members…like family, so much so that there is all kinds of LOVE wrapped up in the store collab kit and our Bits N Pieces goodies. The designers were provided colors and decided to leave the theme open to their imaginations. Check out what all these great designers decided to create with just colors to guide them. Remember each piece is just $1 the first week of the month, and you can use these goodies all month to earn forum points in the BnP Challenge. February CU Grab Bag – Crease It Up! 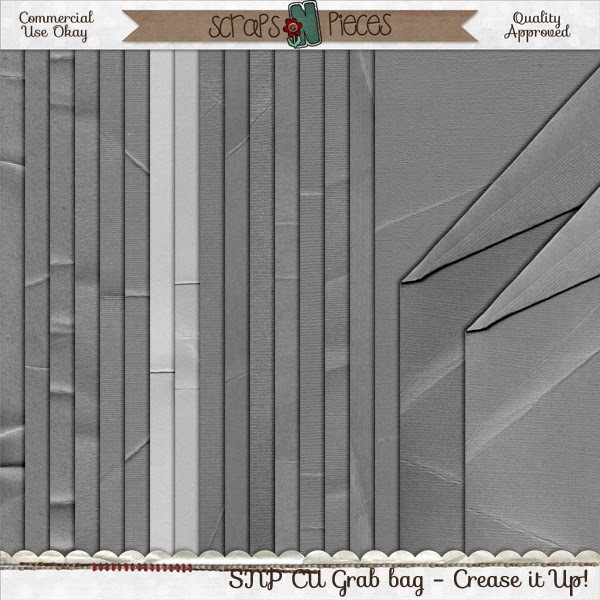 Need a little creasing in your designs, grab this CU grab bag while it’s on sale. It’d be really SWEET to see you around the forum in February! 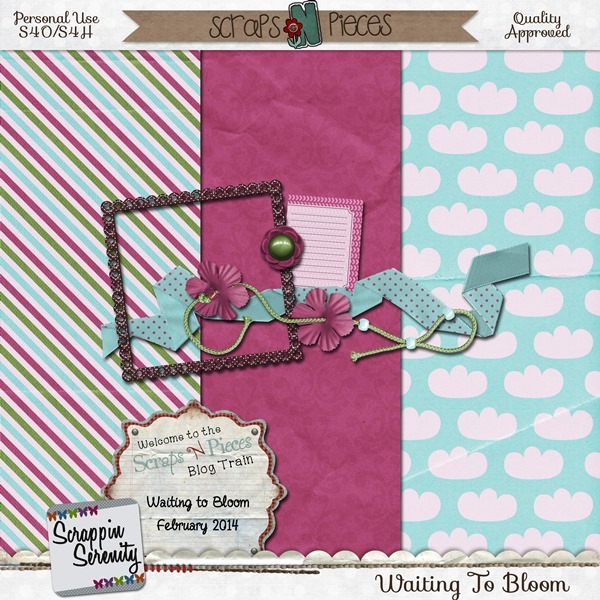 This entry was posted in Scraps N Pieces on February 3, 2014 by christiedawn.